In early 2018, Weintek released a high efficiency control solution: HMI+CODESYS+I/O Module, which has received positive feedback from customers. 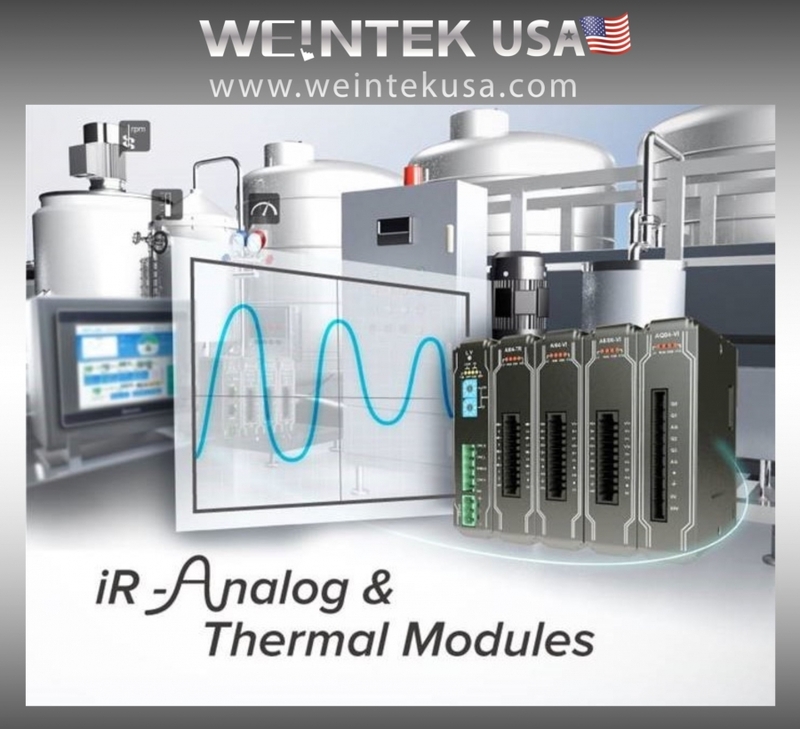 To make it a more viable solution for diverse industrial applications, Weintek has developed new iR Series module products: Analog I/O module and Temperature module. With these modules, users can capture analog signals (voltage, current, temperature), compute with HMI or controllers, and then output signals to control other units in the system. By providing a suite of useful features which works with minimal settings, iR Series can take care of the complex jobs that used to require PLC programming, and as a result can help save considerable amount of development time. iR Series Analog Modules come in four models designed for different needs. EasyRemoteIO is a PC software that allows users to configure and monitor all iR Series products. It is user-friendly and can help users to quickly learn the operation of iR Series products.